Marcus & Jeffrey Jordan Bring You "Heir Jordan"
The Jordan brothers' new website will detail what it was like growing up as the sons of the GOAT. Sure, growing up as the offspring of the greatest basketball player of all-time has its perks, but there's a certain degree of pressure that comes with the territory as well. This fall, the Marcus and Jeffrey Jordan will be teammates at the University of Central Florida, where Jeffrey will wrap up his college career after transferring from Illinois and Marcus will be returning for his junior season after leading the Knights in scoring last year. While it's not realistic to expect MJ-like performances from either, that name will always be synonymous with greatness, and the two seem to be handling it well. 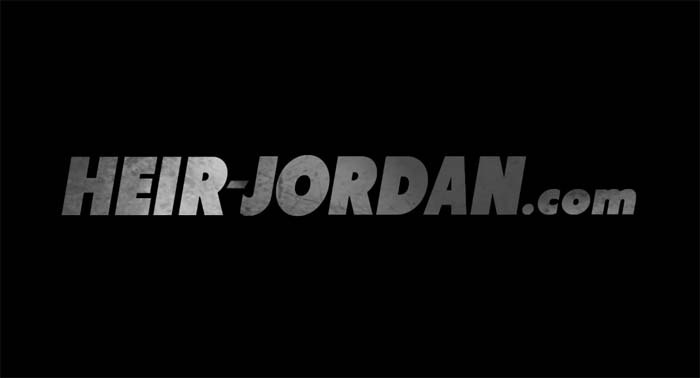 Recently, the Brothers Jordan teased the upcoming launch of their new website Heir-Jordan.com. According to the video, the site will give us an inside perspective on what it was like for them growing up as the sons of Michael Jordan. How many shoes do they have? Did they attend every Bulls game growing up? Were they in Space Jam? These are apparently the types of questions we'll get answered when Heir Jordan officially launches. While you wait, you can keep up on the progress of Heir Jordan on Facebook, Twitter and Tumblr. If you had the opportunity, what questions would you ask Marcus and Jeffrey?